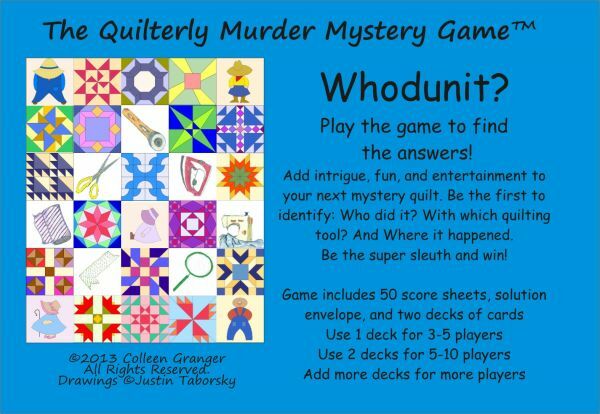 Play the Quilterly Murder Mystery Game in conjunction with a mystery quilt pattern. The game is designed for 3 to 10 players. If you have more players you will need more decks so order two games. With each step of the quilt you get a new game card. It is a process of elimination, similar to the game of Clue but without game pieces or a board. There is a pad of 50 score cards included with the game. Wholesale orders can be called in 415-686-6067 or order through Checkers Distributing.